One of the best movies I've seen! 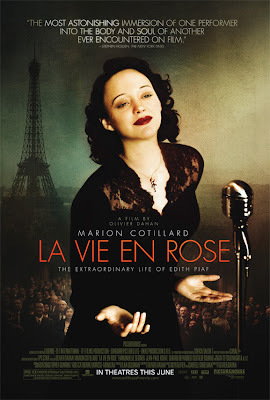 Marion Cotillard has been nominated for an Oscar for best actress. It's in French with subtitles, but I will definitely watch a second time. You can see the trailer here: UPDATE! She won the Oscar. I watched the movie twice, and I may have to watch it again!